Ok so I know this post is long overdue and the month is almost over but I have SO many posts to put up I am falling behind. Anyway, I thought this was a blog-worthy outfit so I decided to post it up before it hits August. 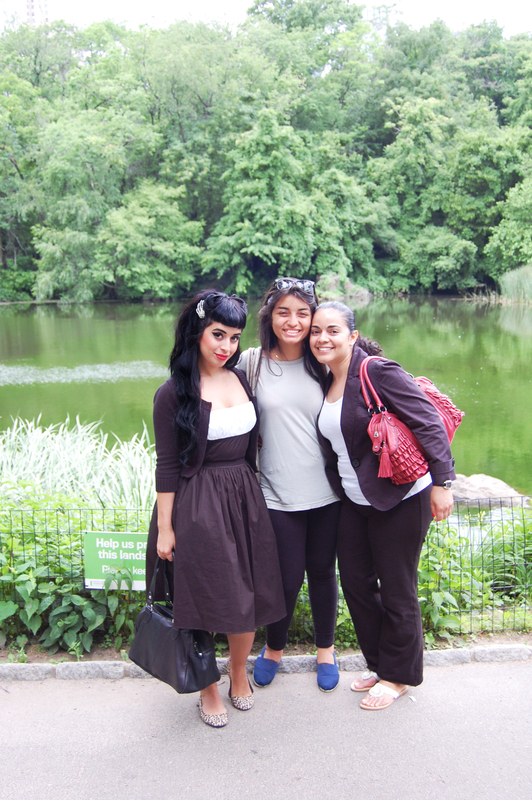 On this day I took a walk around Central Park with my aunt Janet and sister Brittany. It was such a lovely day. 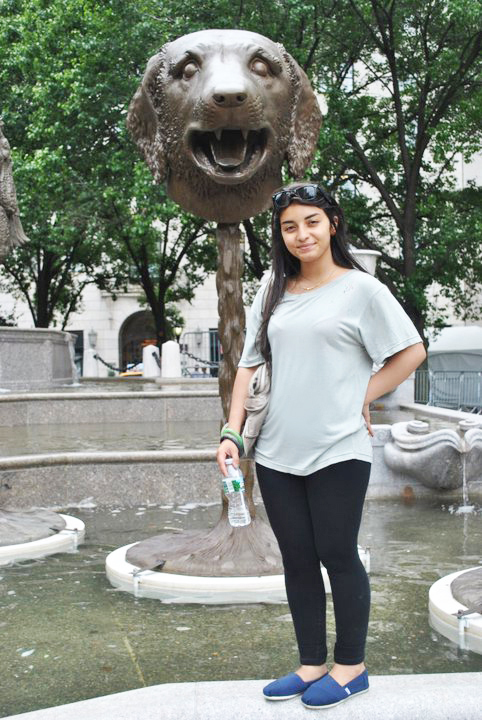 I really love getting lost in Central park and what made it better was being able to spend quality time with my family. We didn’t take many pictures this day so I don’t have a full detailed post, which is why I decided to just make it more of an outfit post. This is more of a psychobilly look. I wore a Bernie Dexter dress with a Betsey Johnson skull and cross-bones cardigan (wish you could see it better in the pic above) and some Jessica Simpson shoes. However, in this post you only see me in my flats because the walk killed my legs. My purse was also Betsey Johnson and I wish you could see the front of it. There’s a studded bow on it. ← Swimming with Sharks at Le Bain! Beautiful! You ladies have flawless skin!